The “Small Chili” is perfect for medium biking, mixed paved and dirt road along the Mekong, Nam Xuang, and Nam Khan Rivers through jungle and villages. You'll ride from city center out of town and through diverse countryside seeing villages along the Mekong River, jungle covered mountains, and villages amongst vast rice paddies worked by hill tribe villages. Laos is best on two wheels. 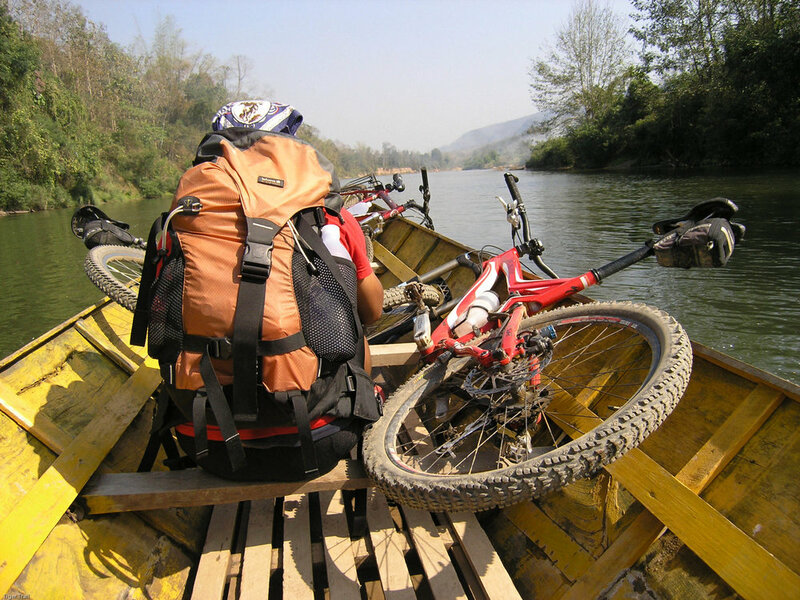 Join our guides and see it for yourself on a great day ride in Laos! Please write the name of the tour so we can better assist you. This mountain bike trip combines great cycling with the chance to discover authentic Lao rural life. Leave the beaten path and find your own adventure outside of town. We’ll meet early morning to size up on our quality mountain bikes and then ride out of town heading north along the Mekong River. After crossing the old communist bridge, make a stop to visit Xieng Lek Village, famous for its mulberry paper and weaving. Next, turn up the Nam Xuang River going past villages and beautiful countryside scenery. The pavement ends and it’s then off-road into the countryside up and down hills past rice paddies and local villages. We'll ride through vast rice paddies and jungle dotted with Lao Leum, Hmong, and Khmu villages with locals tending to the daily activities of Lao agrarian life. The last leg of today's ride will take us along the Nam Khan River. Our last stop before entering the Luang Prabang City is the beautiful Wat Phon Phao with it's huge golden stupa and an incredible view overlooking all of Luang Prabang. Descend into the city and return to our Tiger Trail bike shop to complete this day ride from city to countryside and back.